"Dangerous DUF6 debris is credited by some with creating higher child cancer and other illness rates in Europe and the Middle East. DUF6's fine particles can be harmful as well to the kidneys, skin and the lenses of the eyes. When inhaled or swallowed by humans, animals or fish, that dust can create serious and permanent health hazards. Expended DUF6 is a permanent terrain contaminant with a half-life of 4.5 billion years. Uranium dust can linger in the lungs, the blood and other organs for years. It is reported to have caused some of the so-called mysterious ailments among the more than 350,000 US service members, many of whom unsuccessfully sought medical treatment after the first Gulf War. The purpose of the DUF6 Conversion was to process the 24,000 cylinders of depleted uranium stored outside the Portsmouth and Paducah plants for potential reuse or or disposal (19,000 generated byproduct from 50 years of uranium enrichment at Piketon and another 5,000 cylinders sent up from Oak Ridge, TN) The intent was for the Conversion Plant at Piketon (and a similar plant at Paducah, KY) to convert the depleted uranium into a safer uranium oxide material to be transported in their modified 14-ton cylinders for shipment/disposal at a commercially licensed disposal facility in Utah or at the DOE National Nuclear Security Site disposal facility in Nevada in a dry environment. However there have been numerous delays due to safety and process design issues. 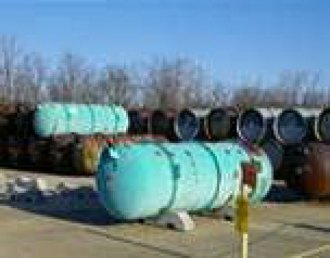 The shipping of the depleted oxide material from Piketon to Utah or Nevada for disposal has yet to be done. And DOE has no schedule to fulfill the agreed upon plans based on their own programmatic environmental impact statement to move this material for disposal out west. The states of Utah and Nevada don’t want this material so currently it’s going nowhere and southern Ohio is again dealing with unfulfilled promises. We receive over 44 inches of rain every year, and we are well over 60 inches of rain in 2018. The ground water in Piketon is only 21 feet from the surface. Piketon is in the flood and tornado zone. We are asking for a public meeting on the DUF6 because the community and workers haven’t been told the truth about the extent of the Plutonium and Transuranic waste on site and offsite or the truth about the existing problems with the DUF6 at Portsmouth, Ohio, or Paducah, Ky.
We are asking for a public meeting on the DUF6 because the community and workers haven’t been told the truth about the extent of the Plutonium and Transuranic waste on site and offsite or the truth about the existing problems with the DUF6 at Portsmouth, Ohio, or Paducah, Ky.
We never seem to get straight answers. We have a right to know. We have the highest rate of cancer in the nation and kidney problems are running rampant here. We need a thorough analysis of the water in the streams and rivers in this area as well as a full investigation into the possible pollution of the drinking water.